So many of us dream of travelling, writing, and sharing our amazing experiences, but Colorado-based journalist, editor, and producer Janna Graber has done more than just dream. In addition to writing for publications such as Redbook, Reader’s Digest, The Chicago Tribune, etc., in the interests of travel and gaining invaluable life experiences, she’s gone dog-sledding, saddled up for excitement and riding at some of Colorado’s dude ranches, and even toured my ownOntario Wine Country to sample our finest wines in the Niagara Valley! But for Janna, it’s more than just the travel that drives her; it’s the personal connections she makes with people all over the globe that resonate most deeply with her. Now, she’s written a book, Chance Encounters: Travel Tales From Around the World (World Traveler Press, 2014) that focuses on experiences and personal connections she and other globe trotters have enjoyed. To learn a little more about this fascinating woman, her newest book, and what inspires her, read on. Q: Tell us, Janna, how did you get the idea for the book? A: In my travels, I often crossed paths with extraordinary people — people who lived in situations different from my own, but who touched me in some way. Some of those encounters enriched my journey, inspired me or even changed my way of thinking. I knew other travelers experienced this as well, so I decided to create a book that would celebrate these unique and incredible travel encounters. Q: How many authors were featured in the book? A: Nineteen top international travel writers were featured in the book. Q: How were pieces selected? A: We received hundreds of submissions from writers around the globe and selected 23 final stories. I looked for well-written pieces that followed the writer’s internal journey, as well as his/her external experience. Each story in the book provides a you-are-there feeling, allowing the armchair traveler to experience a unique part of the world from the writer’s perspective. 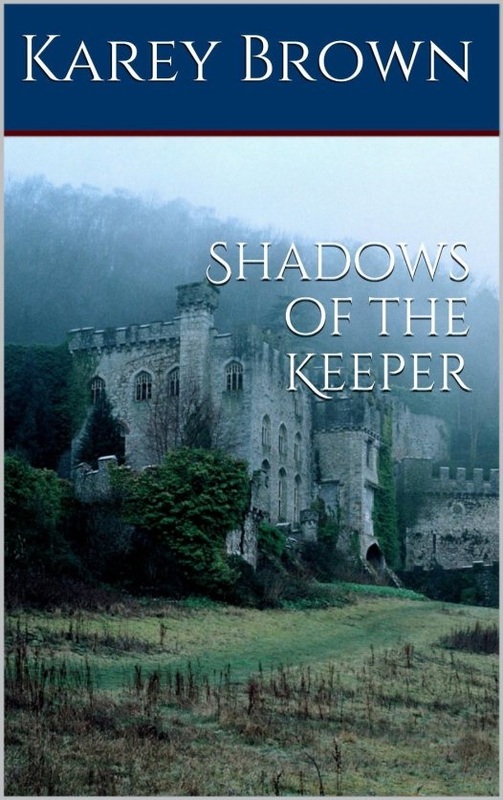 The stories are all very different from each other, which makes reading the book so enjoyable. Q: What are some of your own stories that were included? A: “My Friend, the Enemy” was actually the story that inspired the idea for the book. In 1987 while on a short student trip to East Germany, I met a young East German student who reached out in friendship, even though it was dangerous for him to do so. After I left, we had to write in secret through this grandma. It’s been 25 years now since the Berlin Wall fell, and we have been close friends ever since — simply because we crossed paths long ago. Another story of mine, “The Parisian Angel” tells how a young French woman helped me after I had been robbed in Paris. She reached out to me when I needed it most, and helped to restore my faith in Paris. Q: Tell us about some of the other tales in the book. A: Christina Hamlett writes of a treasured encounter in Hawaii that she has never forgotten. Kimberley Lovato’s tale of an elevator ride with a courageous woman in Paris packs deep emotions into a matter of minutes, from recollections of childhood memories to profound realizations of life. Nithin Coca’s conversation with a taxi driver in Dubai leaves an impression that he won’t forget, and during a hike with a young monk in Bhutan, Shilpa Gupta learns a lesson not about Buddhism, but about herself. Cece Romanyshyn is moved by the strength of three young Kenyan sisters who are faced with a heart-wrenching local custom, and Rob Woodburn marvels at the resourcefulness of two young men from Malawi in their quest for a decent pair of shoes. These are just a few examples. The book is packed with incredible tales of chance travel encounters that touched or changed someone’s life. Q: Travel writing isn’t something most people just jump into. What is your background? A: I began my journalism career covering women’s news for Chicago Tribune, Redbook, McCall’s and other publications. When the Columbine tragedy happened in my own backyard, it was very difficult for me to write about. These were my neighbors, and I couldn’t help but feel their sorrow. After that, I decided to turn my energies to covering positive stories of travel and the strength of the human spirit. After 9/11, travel writing changed. I was told that Americans weren’t interested in international travel. But I knew that wasn’t true. In 2003, I started GoWorldTravel.com, an online magazine devoted entirely to world travel. We work with travel writers around the world covering stories in more than 90 countries. I’ve been covering travel ever since. Q: When you travel, you do much more than visit resorts and tourist attractions; you learn about the native cultures and people of the places you visit. What is the most interesting fact you discovered about a place, people, or thing on your travels? A: What I’ve learned is that people are more alike than they are different. Yes, I may have a different home or lifestyle than a mom living in Shanghai, but deep down we are still mothers who hope for the best in our children. I always find so much in common with those I meet on my travels – and that provides a genuine connection that cultural differences can’t erase. Q: Most of us choose to travel the paved roads, but you go off-road all the time. Can you share with us your most funny, or difficult, travel situation? A: I love small towns and rural and rugged landscape. Some of my favorite travel experiences have been snorkeling with belugas near the Arctic Circle in the 800-person town of Churchill, Minnesota, and going on safari in the Outback on an Aboriginal Reserve at the northern tip of Australia. The people who live in these kinds of rugged environments fascinate me, and I enjoy being around them. Q: What inspires you to write and travel, Janna? A: I’m always curious and eager to learn about new places, people, and cultures. Travel allows me to step out of my comfort zone, broaden my view, and experience new things. Q: Although travel writing looks exciting and glamorous, I’m sure many, many times it isn’t. What advice would you give to writers who would like to learn more about or get involved in travel writing? A: Ten years ago, it was possible to make a passable living with travel writing, but the media world has changed. Fewer print publications cover travel, and online writing just doesn’t pay as much. Nowadays, travel writing is a good second career. You have to pursue it for the passion, not the money. It helps to have another source of income while you do that. Q: How do you choose the places to visit and write about? A: Since I went to university in Vienna, I feel at home in Europe. European destinations continuously draw me. I’m also in love with Australia, so travel there whenever I can. Generally though, I simply look for opportunities to travel and experience new things. I’m open to almost any place where travel is safe. Q: Is there someplace you haven’t been to yet that you are determined to go to? If so, why? A: I’d like to go on safari in Tanzania and Botswana; Mongolia is also on my wish list. I’ve never been to any of these places, but have read other writers who have inspired me to put them on my Bucket List. Q: What book projects are you working on next? A: My next book in the series, called “Adventures of a Lifetime: Travel Tales from Around the World”, is also now available. 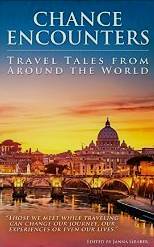 Like the name says, the book includes 24 incredible travel stories from some 20 top travel writers. My own story in the book is called “Filling in the Holes”. It’s about searching for family roots in Latvia that were tragically lost during war. It was an incredible adventure. Latvia is an undiscovered treasure. In mid-2015 I’ll start work on an anthology devoted solely to women’s travel stories. I’m really looking forward to that one. Thank you so much for taking the time to chat with us today, Janna. I, and I’m sure many of our readers, are looking forward to reading Chance Encounters: Travel Tales from Around the World, and your future works as well.